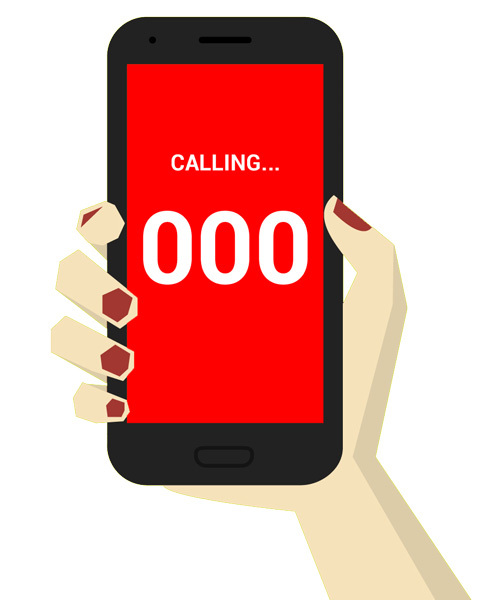 When you phone triple zero (000), a Telstra operator will answer your call and ask which service you require. Police, fire or ambulance. If you are calling from a mobile, you need to say you are calling from Queensland. If you need an ambulance, the operator will put you directly through to a highly-trained emergency medical dispatcher (EMD) in the Queensland Ambulance Service Operations Centre. Stay calm, stay focused and stay on the line. The EMD will first ask you for some basic details, such as your current address (or location of the scene where you are calling from), phone number and the patient’s condition. They will immediately assess your situation and, if necessary, will give you step-by-step first-aid instructions over the phone to help you. Triple zero (000) is the only number to call in an emergency. By calling triple zero (000) you get immediate access to medical support. While you are still on the line to the call-taker, an ambulance will already be dispatched. Your information – including where you are and what your medical emergency is – is relayed to the responding paramedics and this continues to be updated as they travel to you. Paramedics can provide life-saving treatment at the scene and safely transport you to hospital if needed. MotoMedics volunteers qualifications vary and not all are paramedics, all patients will be provided with critical first intervention pre hospital care whilst a Queensland Ambulance Service ambulance is on its way.